Ready for a Rush? Slide down our 22' Blue Tsunami Water Slide now and you will feel the rush of excitement. 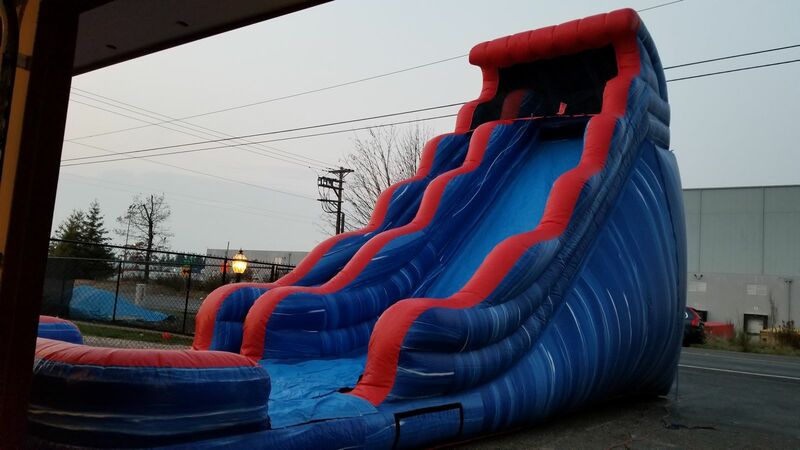 Make your event into the best party in your neighborhood with our best & biggest inflatable Water Slide. Add in our some Backyard and Carnival Games to round out your party event. Another new addition to our cool selection of water slides!!! Cool Down with this 22' Blue Tsunami Water Slide! Feel the Rush of Excitement! This massive water slide takes guests on the ultimate water thrill ride. This Water Slide is a spectacular way to combine fun and a healthy activity and will add fun and excitement to any party or event!